The median home price continues to rise along with total home sales across Orange County and the State of California. Indicators do demonstrate that the rate in which home prices are increasing is slowing down. The natural seasonal adjustments do play a factor in this slow down, however I believe as prices rise, it prices many buyers out of the market. Buyers should be aware of this factor and know that time is of the essence when purchasing in a rapidly appreciating market, especially a more expensive local market such as Orange County. Currently, Orange County has the highest median price point in any other county in Southern California. While new construction in Orange County continues to target buyers sitting on the side lines with new homes, the demand still significantly exceeds the supply of available homes for sale on the market. New construction will help provide alternatives for buyers, but the slow pace in which the development is being completed may not match up with present buyer demand. Many new residential developments in Irvine have been selling out quickly and have a long list of interested buyers eagerly waiting new homes to be built. Some new neighborhoods are over 60% sold out already without all construction being completely finished. Home prices have risen 7.1% from July 2013 to July 2014 and are expected to continue to rise into 2015. 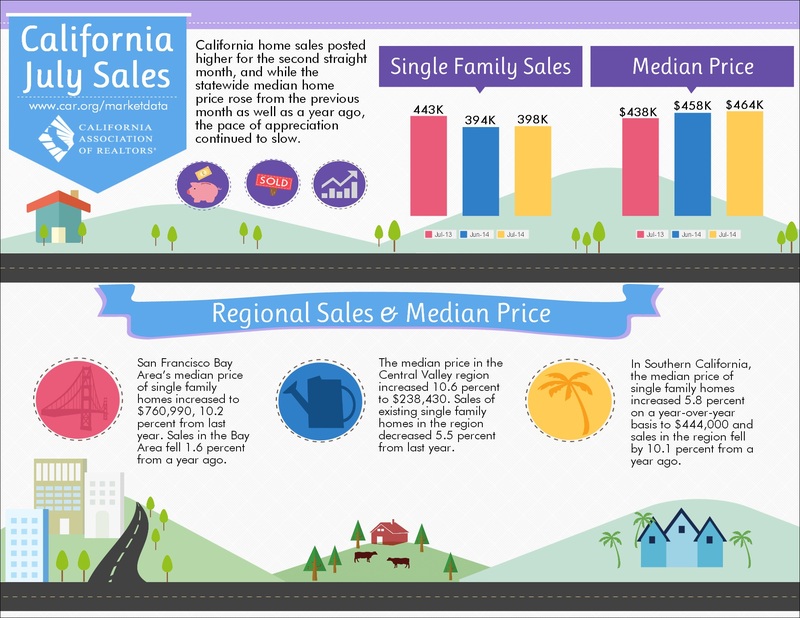 The current median sales price for a Single Family Home in Orange County is $695,270 which is 3% more than in 2013. The median time on market it takes to sell a home in Orange County is 53.1 days. Typically it takes about 60-90 days in a "normal" market. Our Orange County real estate market continues to be a Seller's market. Average Mortgage Rates Currently sit at about 4.13% for fixed-rate mortgages. My clientele has increasingly seen trends of what was once affordable in 2013, edged up to a slightly higher price point where they are considering surrounding neighborhoods, different homes, or saving up until they find what they are truly seeking. Timing really is key in this market and as we continue to see prices in the Orange County market increase, it's a prudent idea to pursue the probability that buying sooner rather than later will most definitely be in your favor. As Fall Season approaches, it's a good idea to start looking for homes as a Buyer because the natural seasonal lull combined with eager Seller's pushing a longer period to sell their home is an ideal circumstance in which to pursue negotiation when buying a home.